Brooks Brothers announced last month that they’re now returning to their original oxford-cloth button-down collar design – taking out that floating interlining they’ve been stuffing into their collars since the 1990s and going back to their softer, unlined models. It might seem like a small detail, but for many enthusiasts, those lined collars have been a source of a lot of contention. While I agree with Pete and think the old models were still pretty great, unlined collars also have a special place in my heart. A bit more carefree and relaxed, they have a kind of roll that hasn’t been seen on a Brooks shirt in nearly two decades. Eager to check out the new styles, I ordered a few last week along with the older models for comparison. Here’s how they stack up. Collar: Definitely a huge improvement. Without that floating interlining, the new collars are now softer and more comfortable to wear. More importantly, they exhibit a nicer roll. Big plus. Cuffs: The newly unlined cuffs are also more comfortable to wear, especially when rolled up. Buttons: A nice upgrade from the old plastic buttons to mother-of-pearl. Plackets: The front placket (which is that part of the shirt that holds the buttonholes) is now unlined. A nice touch, but not really noticeable when worn. Additionally, the sleeve plackets are a bit shorter, which I like. Cuff Button: It could have been a manufacturing variance, but on my two samples, the sleeve buttons were placed a little closer to the top of the cuff. I actually prefer the old design, but it’s a small detail. Hem: The hem now curves up higher on the side and is finished with a side gusset. It’s a nice stylistic touch, but again, pretty minor. Chest pocket: Older men will rejoice at Brooks removing the chest pocket, as that’s how they used to make their shirts prior to the 1960s. Personally, as a guy in his mid-30s, pocketless OCBDs just look wrong to me. Aren’t these supposed to be semi-casual? Price: The price! Despite these being made with less material, the price has jumped from $95 to $140. And soon you won’t even be able to get the $95 versions anymore, as they’re being discontinued (although some are still floating around on their website). The new Brooks OCBD is definitely a huge improvement, but I’m not sure the market is made better off with the price jump. 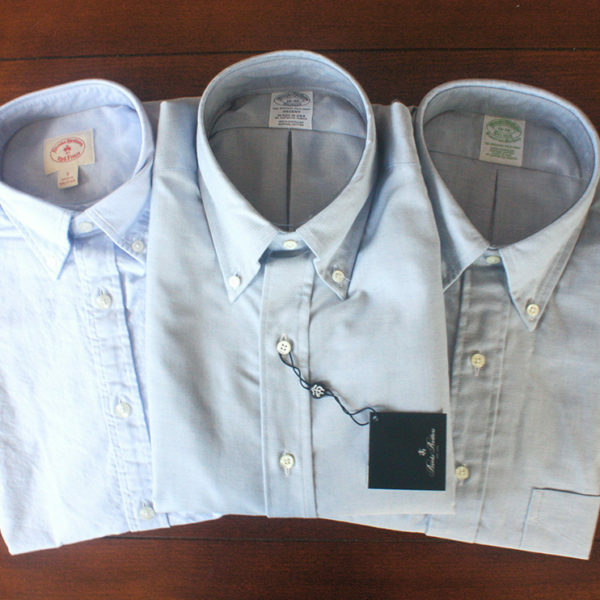 The old shirts were a great option for men on tighter budgets, especially since they routinely went on sale for ~$50. Sure, Brooks still carries their more affordable Red Fleece model, but that has a stubby collar and doesn’t really work with neckties. The one ray of hope? If Brooks continues to include their OCBDs in their sales, they’ll be available for about $100. Not as cheap as before, but a bit less than $140. O’Connell’s: A small NY clothier with a fantastic selection of traditional American clothes: Shetland sweaters, bleeding madras shirts, and soft shouldered tweeds. Their OCBDs fit a bit more traditional, but in a good way. 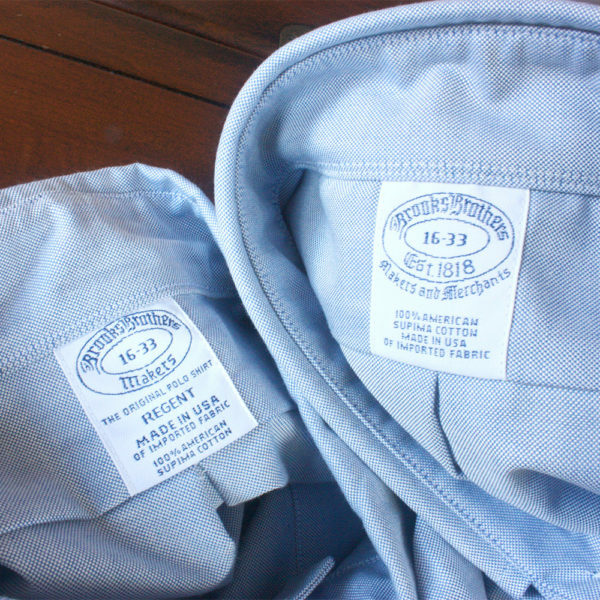 Michael Spencer: Made-to-order OBCDs at the same price other makers charge for ready-to-wear. 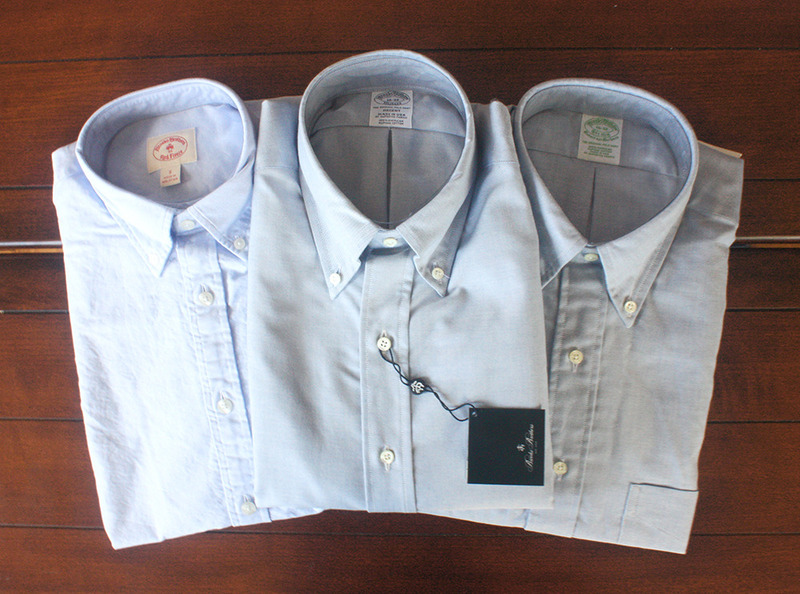 Spencer’s shirts fit similar to Brooks Brothers, but allow for more customization (get chest pockets!). Some of their fabrics are also heftier and heartier than Brooks’, which I prefer. Mercer & Sons: Mercer makes the best collars around, and since we wrote about them a few years ago, they now also offer a slightly slimmer fit. 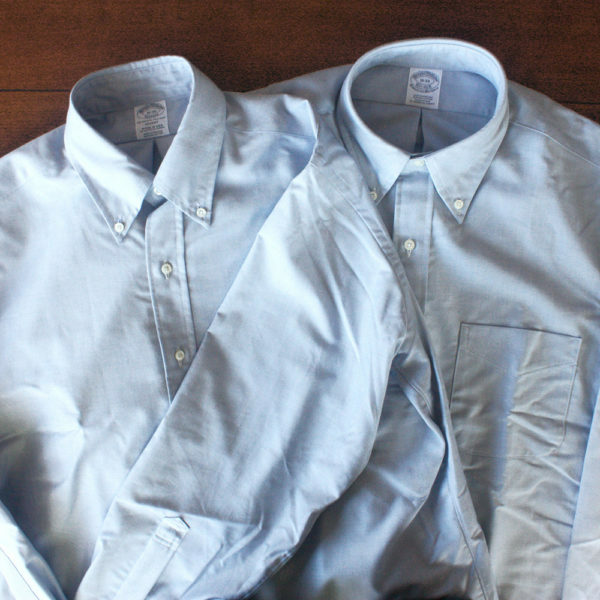 It takes a bit of fiddling around with options, but their shirts can now be slimmed down an additional four inches – making them just as trim as Brook Brothers’ regular slim fits.